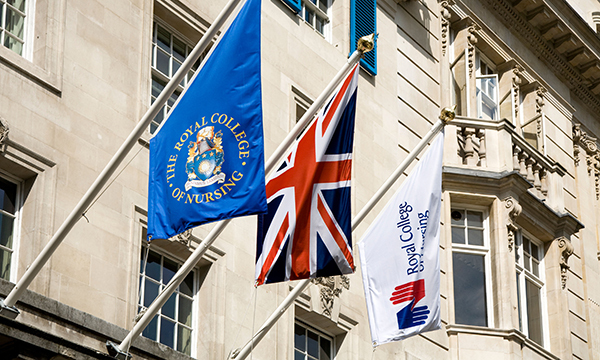 All members of the RCN will be able to have their say in a vote of no confidence in the college leadership and a call for its council to stand down amid concerns over its handling of the NHS pay deal, it was announced this evening. Electoral Reform Services (ERS), an independent organisation, is emailing all UK members with details of how they can cast their vote in an extraordinary general meeting (EGM) called over the college's processes and communications surrounding the pay deal in England. The college also announced it will shortly publish interim findings from an external review by the ERS into the processes around the communication of the pay deal. This will allow the findings to be discussed at the EGM, and the RCN hopes it will help to inform members' vote. The full review by the ERS will not be complete for some weeks, the college said. RCN acting general secretary Dame Donna Kinnair wrote to members on 30 August to say the college would accept the recommendations of the ERS review. Today's email from ERS will tell members they can either vote in person at Birmingham Repertory Theatre, where the EGM will take place, or by appointing a proxy to vote for them at the meeting. Members wishing to attend the meeting will need to register to do so by Wednesday 19 September. Those wishing to appoint a proxy to vote on their behalf will be able to nominate either the chair of the meeting or another member attending it to vote for them. Members who wish to vote by proxy must return a form by 11am on Wednesday 26 September. The meeting will be shown live on the members’ area of the RCN website. The EGM was called following a petition by 1,017 RCN members who called for a vote of no confidence in the current leadership of the RCN and for RCN council to stand down. Controversy arose over the pay deal when it emerged some nurses were surprised not to receive a pay rise they had been expecting in July. The resulting furore led to an apology by then RCN general secretary Janet Davies before she stepped down.